Requirements: Compatible with iPhone 3GS, iPhone 4, iPhone 4S, iPhone 5, iPod touch (3rd generation), iPod touch (4th generation), iPod touch (5th generation) and iPad. Requires iOS 6.1 or later. 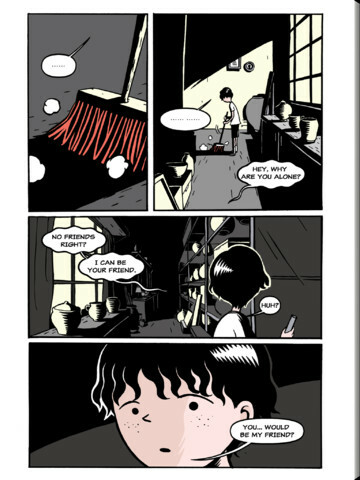 A SUSPICIOUS, STRANGE & SOMETIMES SPOOKY GRAPHIC NOVEL for ALL-AGES! - Please note that this free version applies to the Prologue and Episode 1 only. - With its gothic illustrations and cynical sentences, it's a digital original graphic novel to captivate the attention of both children and adults who loves mystery, fantasy, and young adult genres. - Listen to the original sound track while reading the digital graphic novel. You will be hooked onto this non-stop adventure and fun. 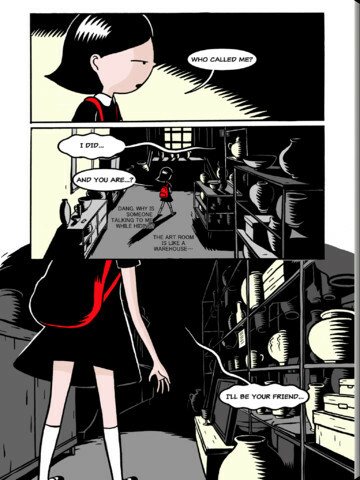 An all-ages graphic novel, “Suee and the Shadow” is a dark and twisted story about a girl named “Suee” whose shadow comes alive! 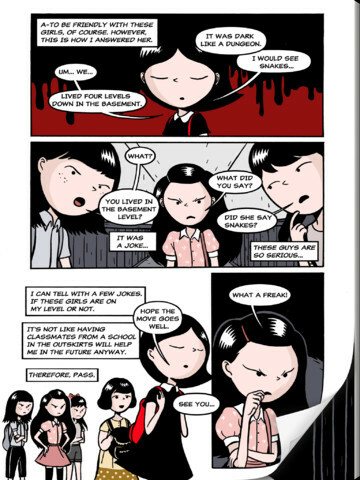 Suee is a sixth grader who freely uses difficult words such as “demotion,” wears a little black dress with her pointy hair on the left, and is super independent – very picky when it comes to making friends. 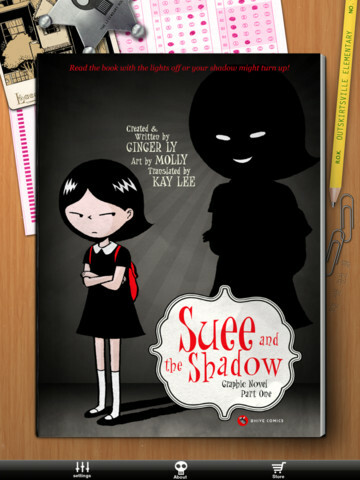 One day, Suee transfers to Outskirtsville Elementary and her shadow comes alive. Suee’s shadow comes in and out unruly and start teasing her and interfering with her life. 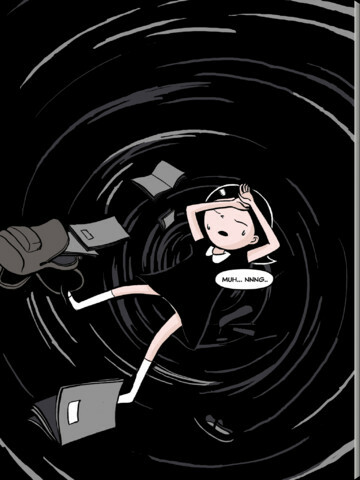 While Suee tries to remain indifferent to her new companion, she gets interested in something strange and uncanny going on at Outskirtsville Elementary, and has a hunch it’s somehow related to her shadow. Now, she must face her shadow and find out the truth – a dark and twisted one.